48V 1000W and 750W super power brushless gearless hub motor. Power: 1000W / 48V or 750W / 48V. (Only for Pedal Assist System,"PAS"). You’ll be out cruising along at28 mph without a sweat! Crank speed sensor for pedal assist. Powerful 750W 36V brushless hub motor that allows up to 25 KM/H top speed. Motor Specifications: 36V / 750W. 1x Powerful 750W 36V brushless hub motor. Thumb throttle with 3 LEDs indicator lights. Gross Weight: 19 4/5lb. 48V 1500W and 750W super power brushless gearless hub motor. (Only for Pedal Assist System,"PAS"). Power: 1500W / 48V or 750W / 48V. You’ll be out cruising along at34 mph (55km/h) without a sweat! Our electric bicycle kit has been upgraded! 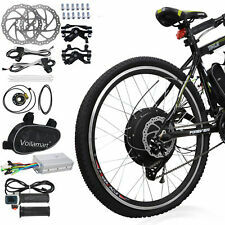 E-bike 1000w output 48v in-frame samsung battery 10.8ah fat tire all terrain . Shipped with USPS Parcel Select Ground. Powerful 750W 36V brushless hub motor that allows up to 25 KM/H top speed. Motor Specifications: 36V / 750W. 1x Powerful 750W 36V brushless hub motor. Thumb throttle with 3 LEDs indicator lights. Gross weight: 8.5 KG. Smooth ride, powerful and easy to use. Well its basically the monster truck of the electric bike world! Motor:48V 750W REAR MOTOR BAFANG. Breeze Fat Tire Electric Mountain Bike 750W, 48V. Fat Tire electric bike. New, never used. Only test ridden once, and works great. Model JB-TDE002. Includes all parts and tools. Powerful 750W 36V brushless hub motor that allows up to 25 KM/H top speed. 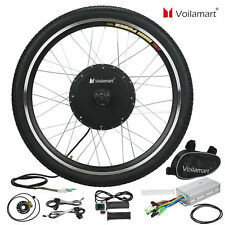 The kit includes motorized wheel(not inculdes the tire), motor controller, speed throttle, power break lever, wire harness. Click for Full Description. Mate X 750w Electric Bike. an Up-grade from std. bike - 750w high performance motor. run out of power - ride it like a bike with your own pedal power. pick up at 8 a.m. any morning, drop off at or before 8 p.m. that night. Battery: 48V 13AH Samsung Lithium Ion. It has been put to the test for all terrain and passed with flying colors. Nothing stopping your next ride with the F55. Motor: BAFANG MOTOR 48V 750W Rear Hub Brushless Motor. Powerful 750W 36V brushless hub motor that allows up to 25 KM/H top speed. Motor Specifications: 36V / 750W. 1x Powerful 750W 36V brushless hub motor. Gross weight: 8.5 KG. Thumb throttle with 3 LEDs indicator lights. Looking for an exciting new way to get around town?. Getting around town has never been easier, or more fun, than with the BAM-StepThru electric bike. The velo plush seat and relaxed riding position make it a super comfortable ride and the included rear rack makes it easy to attach panniers or baskets for carrying your load without stressing your back. Use the R750 for camping, cruising around the neighborhood, hunting, fishing, or all of the above! The uses for the R750 really are endless. It uses a powerful, yet whisper quiet high torque electric motor. Trending at $1,878.66eBay determines this price through a machine learned model of the product's sale prices within the last 90 days. Nomad Electric Bicycle. BATTERY TYPE: Lithium Ion Battery. While there’s no denying that the Bam Nomad has style, it also has plenty of comfort! An added benefit is the front and rear LED lights that make sure you can see and be seen when the going gets dark. 750 w 36 v E-trike RED and has lights but they need to be hooked up, has charger. Condition is New. Features:High quality lithium batteries: Stable performance, built-in overvoltage, over-current, overload, short-circuit protecting, temperature protecting, battery balancing, power protecting.Easy to use: Come with a rear rack, easy to install, and it is hard texture, fine workmanship, high temperature, anti-wear. Sealed design: The battery is fully sealed and designed to be using all day long, whether it rains or muds.Long term use: Do not remember&nbs. Pedal assist : 5 levels of pedal assist set up on the LCD Display. Range : 22-37 miles, depending on terrain, inclination, rider, weight, if the pedals are used, etc. Tires : all terrain, 20”x4”. Accessories : horn, front led light. This Breeze E-Bike is from Safecastle has been custom built with for both style and stamina. Smooth ride, powerful and easy to use. Well its basically the monster truck of the electric bike world! Motor:48V 750W REAR MOTOR BAFANG. Motor: Brushless, 750 Watt. 6 Pedal Assist Power Levels. Pedal: Wellgo. USB Charging Port for Phone, Tablet, Laptop Etc. Wheel Size: 26“. Max Speed: 20MPH. Derailleur: Shimano 7 Speed. 20 MPH Top Speed. 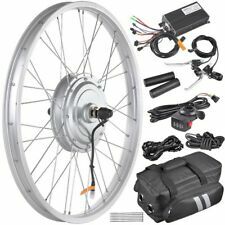 BPM 750watts 13ah RACK Quality Fat Tire 48v Electric BicycleFolding 20' Bike. The powerful Fully Loaded FOLDING COMPACT F15x Model with paired with our NEW 750 watt Ba Fang 48V Motor and Samsung battery gives you the best experience possible on any terrain. From EWheels. Manufacturer EWheels WARRANTY : MODEL EW-Folding. Introducing the revolutionary Bam Folding bike. Folding Electric Bicycle. The BAM EW-Folding is a go anywhere electric bike, we’re not kidding around! Just dial in (at display) the power level you want. Fat tire electric bikes are quickly rising in popularity. You can also change the amount of electric power pedal assist using the display from levels 1 to 5. Motor: BAFANG 48V 750W Rear Hub Brushless Motor. Battery: 48V 14AH Samsung Lithium Ion. Motor Power：Fixed Output Power : 750W. Pedal Assist Range: 47 miles. FULL SUSPENSION ELECTRIC BIKE. Tires: Kenda 20" X 4.0" Fat Tire.